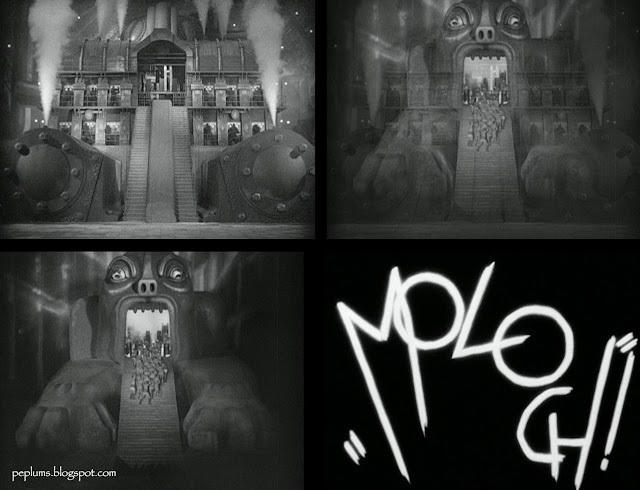 The 'Moloch' scene from METROPOLIS. Workers are shown to merely be sacrificial offerings to the Carthaginian god Moloch. For a science-fiction film METROPOLIS contains loads of PEPLUM imagery including a Babylonian dance sequence, death statue coming to life and much more.